What should landing page content look like? What specific content is available? What should newsletter and email content look like? It’s no secret that start-ups often have unique requirements for their communication and content. In part 2 of our series about start-ups and content marketing, we will discuss landing pages, newsletters and customer emails and how they can make a decisive contribution to your company’s success. Start-ups often have specific requirements for their communication and content. 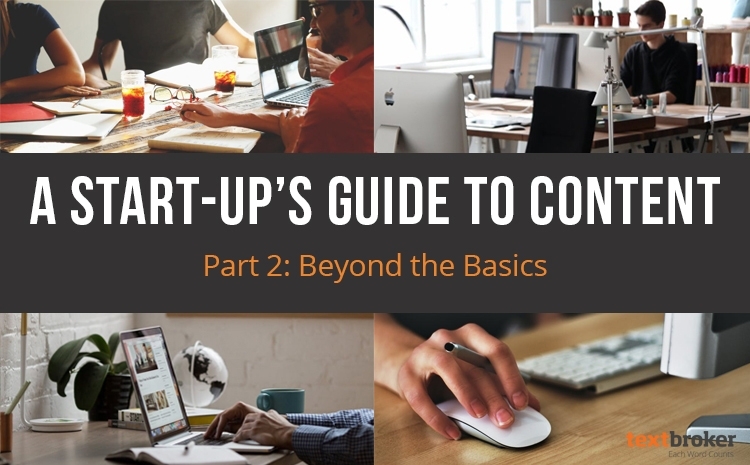 In part 1, we explained what start-up content might look like and reviewed website and blog content for young companies. In part 2, we now consider the content of landing pages, newsletters and emails. A landing page is all about conversions. This is one of the places where you turn your ideas into cash and transform your users into customers. Landing pages are very efficient because they can be explicitly tailored to the needs of your users to a greater extent than anywhere else on your site. This not only means you can achieve more reach via organic search results and ads but also that you can more readily mention and address a customer’s pain point. Landing pages can also prove very useful when a start-up is still in the build-up phase and so is not quite ready to offer a finished product. Here, you can advise your customers that as an early adopter they will qualify for special privileges, praise the benefits of your product, and make potential customers curious. With a good landing page, you can draw attention to your forthcoming product and generate leads. Landing page content is geared toward the transactional requirements of your users. Whether it be content, a service or an actual product, a landing page must deliver the promised product to the user as quickly as possible. To achieve this goal, your texts, videos, pictures and any other website content should be precisely aligned with your target group and lead the user toward a conversion. The appearance of a landing page will vary according to the product, type of communication, target group, etc. upon which it is focused. We have summarized how they should be built and what they should contain in our blog article about landing pages. The content for landing pages doesn’t have to be expensive. However, you will need the appropriate expertise and should allow plenty of time for the task. Landing page texts should be concise and to the point, and if you lack the resources to accomplish this, landing page texts can also be outsourced. Testing the performance of individual landing pages is highly recommended and should form part of any landing page strategy. This can be achieved with an A/B testing tool which can be acquired over a range of different price points. Early-Adopter Landing Pages: Sites where the user can register before the actual product launch and be kept up to date with regular update reports. 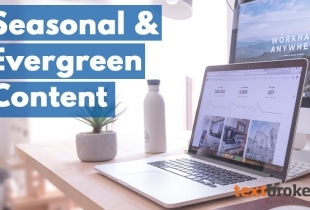 Lead generation content: Landing pages which provide the user with a service or a (free) product in return for their email data, which is then added to your marketing data in the email funnel. Landing pages for product specifics: Landing pages which are adapted to the specific needs of the user by means of an advertisement or via the organic SERPs, and which offer him a solution to his problem in the form of a product or service. Skillfully targeted email marketing can create real value for your customers and potential customers. Use newsletters or campaign emails to alert your users, help them or guide them in a certain direction. Your content may be more informative or transaction-oriented depending upon which kind of email you send to your customers. Your email subscribers will have already shown interest in your product or company by signing up for a newsletter. That means there is great potential for presenting your own content, advertising webinars or products, and much more. All of this can be achieved via email marketing. However, you must remember that your newsletter is a service for your users and the unsubscribe button can be easily clicked. As a common rule, it’s recommended to avoid being overly pushy or intrusive. Attract your customers and convince prospective customers with informative and helpful teaser texts which lead them to equally useful websites. You can, of course, use your own communication style, and since you already have their attention, you can also employ emails to present your start-up vision to your users. The costs for the technical infrastructure of an email marketing system will vary according to the provider. A free basic account such as Mailchimp may be enough to get you started but could quickly reach its limits when asked to handle more emails or more customers. Content can be compiled quite cost-effectively, but the process can be time-consuming (which has further cost implications). This consideration should not be underestimated, especially where drip-nurturing campaigns are involved. This requires the creation of many different emails which are sent to the user at the appropriate time in order to provide them with helpful information about a product. Good content is extremely important for start-ups. Young companies often have special requirements for their communication and therefore their content. Those with limited budgets who nevertheless want to create effective and purposeful communications should stick to the most important content basics. Properly deployed, website, blog, landing page and newsletter content offers great potential for success.